Can I ask about “Blynk” in Arduino? Can I ask questions related to Blynk in Arduino? 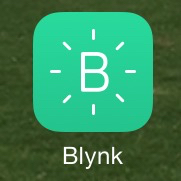 Blynk is an App that allows comunication between A Phone,Tablet and etc. with Arduinos and etc. Using USB or Internet (Ethernet Shield, Wifi Module and so on). The Arduino libraries and using them for sure can be asked about since they're part of the extended Arduino ecosystem. Using the online parts of Blynk (how to get authentication codes, password reset, dashboard-ish stuff, etc.). The app builder (that's really not Arduino). General history/information about the Blynk project (Kickstarter/funding info, generic support, etc.). Using Blynk doesn't make it off topic, but we have to stay on the topic of Arduino here. Python scripts that connect to Arduino are not on topic (except in very few cases where it's messing with low level USB functions or drivers). As usual, exceptions should and will be handled on a case-by-case basis by the people voting to close/reopen. Are questions about IDEs other than the official IDE on-topic? Tag by board or by chip? How relevant is Arduino SE? Let's customize our tour section! Would a Tag for Arduino IDE version be helpful? Is an ESP8266 running Arduino code question allowed?